Time to revisit your nonprofit branding? Start here. Considering a new nonprofit brand? Start here. Rebranding is difficult – remember New Coke or The Hut? It’s unlikely that you do: those brands failed miserably. If you don’t roll out your rebranding campaign with a thoughtful plan, your initiatives will most likely fall flat or worse yet, damage your image and undo the positive work you’ve done. Before diving into a rebranding campaign, it’s important first to understand why you feel your organization needs a rebrand and what you’re hoping to achieve through rebranding. 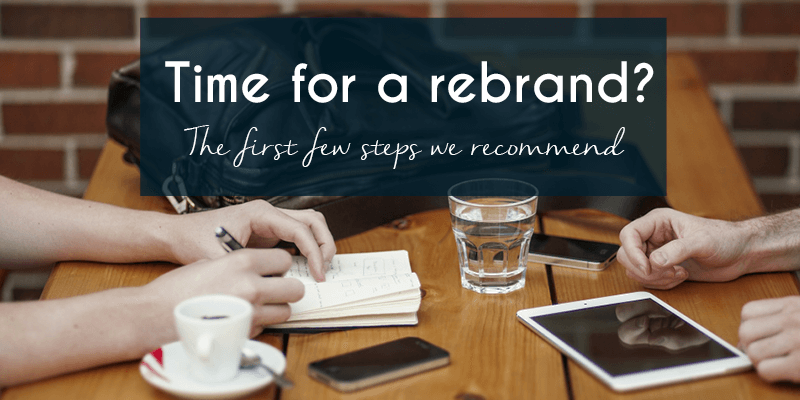 Rebranding is more than a name change or a new logo on your organization’s stationery. Rebranding involves your core messaging, your culture, your attitude and your approach. There are several reasons to rebrand. You’re trying to broaden or reach new audiences. You are offering new services or products. Your brand is dated and hasn’t evolved as much as your audience has. Names, logos, messages and cultures are very subjective. What appeals to one person might be a total turn off for the next. For this reason, it’s critical to base your decisions on data. So, how do you began a rebranding campaign? 1. A good place to start is by talking to key stakeholders. This might include staff, Board members and volunteers. You should aim to take their overall temperature and find out whether they’re on board. If they don’t agree with the idea of rebranding, find out why. If they agree that it’s necessary, ask them to elaborate. 2. Next, assemble key stakeholders for a branding workshop. By enlisting the help of staff and Board, you not only get to leverage their insights, but you also reduce the stress of uncertainty that they’ll buy-in later on. The goal of the branding workshop is to identify the core identity of the organization and uncover any brand equity that may be potentially be lost. Once you’re done, be sure to review all of feedback and synthesize results to narrow the options. 3. Now you can coordinate a survey with the short list of options. Please note, this list should be short – 3-5 options. Limiting the list ensures that people taking your survey won’t encounter decision fatigue. 4. Finally, you can make the final decision. This is tough to do as a committee. Ultimately, one person or a very small group will need to have the final say. That’s why hearing from stakeholders along the way is so critical. The keys to a successful rebranding campaign are collaboration and allowing time to reflect. Through collaboration ideas will iterate and with time, insights and will burble up and come into sharp focus. ⟵Planning an event for your nonprofit? Consider your millennial audience at every step.